I am planning on doing a fresh install of Ubuntu and want to know what is the correct way to install ATI Catalyst Video Driver? 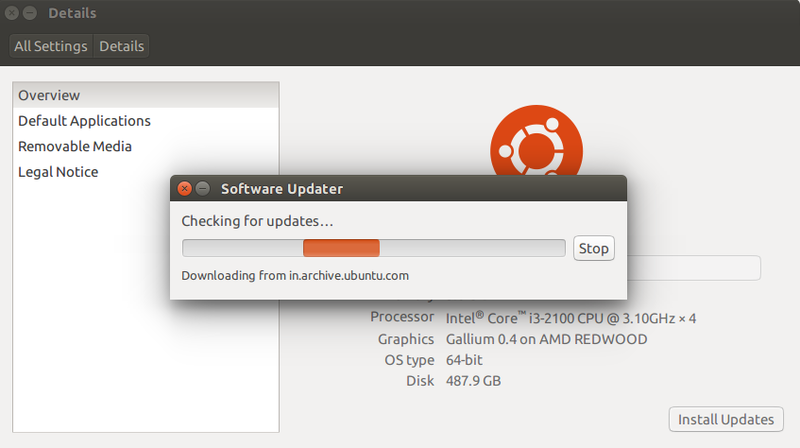 First, make sure your Ubuntu OS is up-to-date. To check this, click the power icon in the top right corner. From the menu select 'About this computer'. Now check if there is an 'Install updates' button (it might appear after a few seconds after the 'Checking updates' button) which can be used to update as shown below. If not, your system is up-to-date. Then go to the AMD website, manually select the driver, and download. If you are unsure which driver to install then you could install the 'Driver detecting software' in your Windows OS and see the driver that you ought to install. Check the release notes and installer notes of whichever driver you are going to install without fail. See if your OS meets all the system requirements mentioned in the release notes. Then follow the steps in the installer notes to install your driver. to reboot your system. This should help you to get back to unity without problems. Now you can again get to the AMD site, get a supported driver and install. How to fix "The system is running in low-graphics mode" error? Also it is not necessary that your OS needs to specified in the release notes. Just see if you meet the system requirements and if your graphic card is mentioned in the release notes. 3: Make sure you update your OS before installing your graphics driver as stated above. While your OS might support your driver before updating, after your OS update it might not. In this case see the installer notes and with the help of the screen shots provided there install your driver. In my humble opinion, the default open source drivers serve all the normal needs of computing. So install the proprietary driver only if you really need it (like if you are a 'techy' gamer or something). Also, if you are trying to install your proprietary driver just to get your maximum screen resolution then you might refer to this answer. The following instructions explain how to install the latest ATI Catalyst video driver of Ubuntu 12.04 LTS (Precise Pangolin). AMD has released the Catalyst 12.8 driver for Linux systems in August bringing some improvements and bug fixes. This driver is based on the fglrx 8.982 release, and it improves support for Ubuntu 12.04 LTS. To keep up to date with the latest driver information always refer to AMDs official website as updates are published fairly regularly. Only use these instructions if you have opted NOT to use the official Ubuntu binaries. If you wish to use the official Ubuntu binaries or want to install the latest ATI Catalyst video driver for previous versions of Ubuntu, navigate to the answer of this question and follow the instructions. 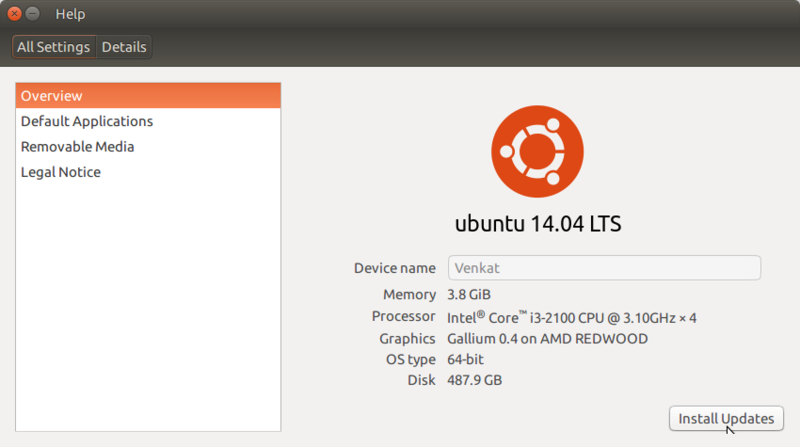 Before deciding, check if Ubuntu supports your video card here. If you are currently using the official Ubuntu binaries and want to install the latest ATI Catalyst video driver there is a prerequisite to purge some files. Before proceeding with these instructions. You can Skip the step to purge if you have a fresh install of Ubuntu 12.04. Note: It will also create a file called fglrx-installer_8.961-0ubuntu1_amd64.changes. If you wish you can read this file to know the changes that have been affected through AMD/ATI Catalyst and related information. Note: In case any of the packages are broken, open Synaptic Package Manager and go to Edit -> Fix Broken Packages. In case you are new to Ubuntu, broken here means that some dependent packages are not yet installed. Once you sort out the issue as indicated above through the Synaptic Package Manager, the problem of broken packages should be resolved. Before rebooting your computer: If you are using a beta version, you may want to remove the AMD "Testing" watermark. Otherwise skip the next block of instructions. Make sure to save before/on closing the file. That will remove the AMD "Testing" watermark (which you will now never see) from the bottom right of your screen when you reboot (source). Now go ahead and reboot your computer. Be aware that when you manually install fglrx, this can subtly break your system, since the packaging system isn't made aware of your changes. The Launchpad developers get many bug reports from users who do this and then later discover after a few upgrades that their system starts behaving weird because of those fglrx remnants. Latest proprietary AMD Catalyst driver version 12.9 cannot be used with Ubuntu 12.10 If you have a AMD Radeon HD 2xxx-4xxx series card. Drivers for these cards are now available in a separate branch called legacy series. Unfortunately these legacy drivers (version 12.6) have not been updated to work with Ubuntu 12.10. Ubuntu 12.10 comes with xorg 1.13 while these drivers have support for older xorg 1.12. So if you want to install these drivers in Ubuntu 12.10, you have to downgrade to xorg 1.12. Note: You will need to install the drivers (following the instructions below) but first add the same dependencies described in the answer above for 12.04LTS. Only RadeonHD cards are supported by Catalyst drivers. It may show you your graphic card. These cards can make use of the Catalyst Legacy driver, but only if you downgrade your Xserver version. This can be done really easily by following the instructions given at LaunchPad. This PPA downgrades the Xserver and install a patched version of fglrx that supports kernel version 3.5. Only use if you have an X2 card (e.g. 4870X2 or 5970) ! !Do not use for two separate cards in crossfire!! Be advised that you may need to manually set the correct refresh rate for your second monitor through catalyst. See this threat. Ctrl+Alt+F1 ; Ctrl+Alt+Backspace ; Alt+PrntScr+r ; Alt+PrntScr+s ; Alt+PrntScr+e ; Alt+PrntScr+i ; Alt+PrntScr+n ; Alt+PrntScr+u ; Alt+PrntScr+b ; and in the last case hold Ctrl+Alt+SysRq (SysRq usually is the same as Print Screen) and type very slowly R E I S U B. There is yet another approach. We maintain a PPA called x-updates which provides updated drivers for stable releases. c) you can still file bug reports and expect support from Ubuntu. Unfortunately, as you can see, we don't have -fglrx in there for precise, and the versions we have for past releases are a bit dated themselves. This is because the official maintainers like me tend to be laz...ahem busy with the development release and/or bugfixing for the LTS, so don't often get to updating this PPA. But, we are very encouraging and supportive of community members to help us with maintaining this PPA. We have the procedure all documented to the degree that it's largely push button; if you can understand and perform the steps described in the other answers here, and you know how to use PPAs, and have an ATI system you can test your packages on, you already have the necessary skills. It's just a matter of getting to know you so we can trust you. We'll be happy to coach and mentor you, all you need to bring is care and dedication. Of course, if you are only interested in updating your own machine, this all probably sounds like a lot of extra effort. However, it only requires one volunteer to take on this duty and then it simplifies life for everyone. Check out how many views this question has gotten so far - over 10,000. So one volunteer here can make a humongous difference. Not the answer you're looking for? Browse other questions tagged software-installation graphics amd-graphics or ask your own question. How do I fix my installation of ATI Catalyst Video Driver in 12.04 LTS? 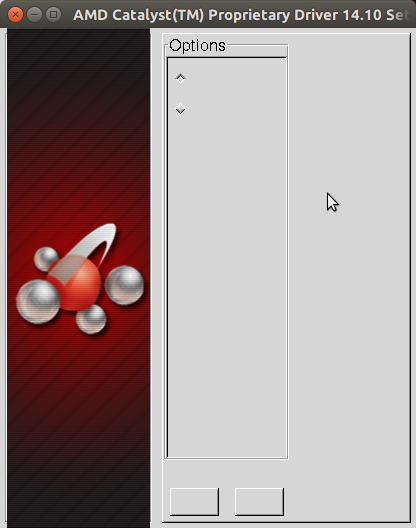 How to install ATI Radeon Graphic drivers on Ubuntu 14.04? How to install drivers for AMD Radeon HD 7850? Driver for a ATI Radeon xpress 200m graphics card? How to install AMD Drivers correctly? How to install the amd Catalyst drivers in Ubuntu? ATI/AMD proprietary FGLRX graphics install fails, how can I resolve the problem? Installation of amd 12.8 drivers failing, Why? Is there support available/a driver that works/ for the ATI HD 5650 Graphic card in 1210? 13.04 exception with latest AMD/ATI driver - How do I go about reporting this? 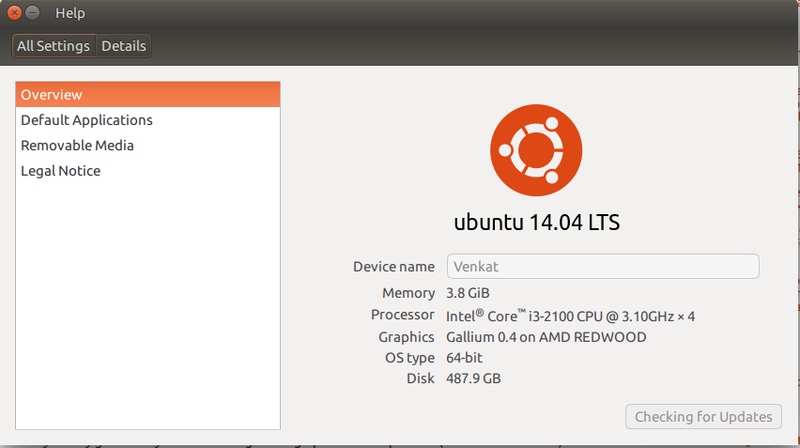 Why won't my graphics work in Ubuntu 12.04 LTS? safe way to install AMD Catalyst Control Centre?